Get me an iPad! Last week we were introduced (love at first sight) to the digital mag Matchbook, this week brings us High Gloss. The later is causing a bit of a sensory overload, but I look forward to "paging" through. "All of the magazines you named have very defined styles and all fit into their own niches. Our style is glamorous and eclectic, and I think you'll notice the Southern and West Coast roots of most of our editors are also a big influence. Rather than focusing mainly on interiors, we'll also have features rooted in fashion, travel and entertaining. We will also have some celebrity features from time to time. We worked on a feature with Chelsea Handler for this issue and two of our team members, Shannon Wollack and Ashley Steen, are designing Chelsea's new home, which we will feature in a future issue." Bravo announced the next season of the Real Housewives franchise will star a new cast from Miami and Real Housewives of New York has been pushed back to the spring. Sneak peak at E! Online. Wahhhh I was looking forward to New York! A special message for roommates everywhere from Leighton Meester. Miss Blair Waldorf would be livid if you touched her $h*t. But she wouldn't cuss like this, I'm shocked! I had a single my freshman year so I didn't have to worry about a stranger touching my $h*t. I can say living in a sorority with 40 women for 2 years I did witness some sisters touching other sister's $h*t drama. I lucked out with my roomie! Thanks for posting about my giveaway! 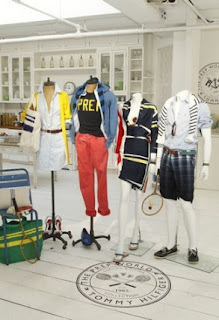 I have been looking for some new prepster outfits lately but no luck. Thanks for sharing! Very interesting finds. Have a wonderful weekend!